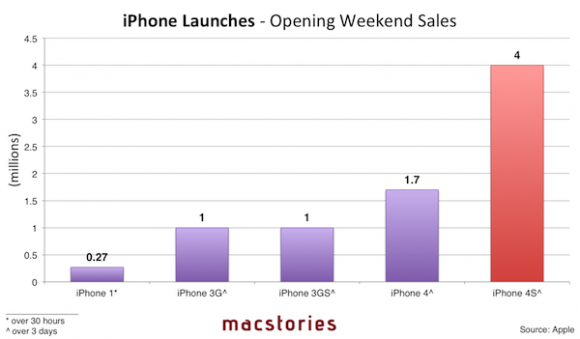 Sprint Nextel (NYSE: S) is betting billions on the iPhone 4S, and now the No. 3 U.S. carrier is answering a few customer complaints that the massive data traffic being generated by their new Apple "smartphone" is overwhelming its network. Sprint's iPhone is not 4G and so far Sprint's Unlimited 3G data plans are winning lots of new customers but this will come with an expensive network upgrade price. Sprint said, “We are looking into a small number of reports of slow data speeds when using the iPhone 4S, however there are also reports showing that Sprint’s network is the fastest.” Sprint Nextel said in a statement. This is not surprising to us as we reported earlier this year, the Verizon iPhone was slowing their network. As soon as Verizon launched the iPhone we started receiving hundreds of dropped call and dead zone complaints from customers on the East Coast of the U.S. Here is a letter from a customer who said, "Verizon dropping more calls after the iPhone launched". When AT&T first launched the iPhone their network got crushed and we think Apple (Nasdaq: AAPL) stock could tank as few customers want to pay for crappy 3G vs Free WiFi. We always preached to our readers that being on a network with fewer customers around you will help you stay connected more consistently. 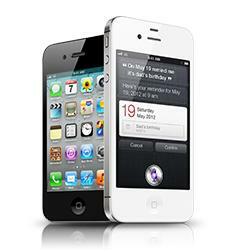 The iPhone 4S could be a lifeline for Sprint, but not if it can’t support the product. As part of its plan to manage data traffic, Sprint Nextel is trying to raise cash to build out and upgrade its network. But Wall Street lacks confidence that the company can increase market share and boost profits, so analysts expect that Sprint Nextel will need to pay double-digit interest rates in order to raise more funds. Sprint retail stores have been completely sold out of the 16GB and 32GB iPhone 4S and did not know when they would get more. Unfortunately, Sprint is losing potential sales to Apple stores, which still have the phone. Here is a chart comparing previous iPhone 1, iPhone 3G, iPhone 3GS, iPhone 4 and iPhone 4S.